Lemon Williams was raised buried in the shadow of her free-spirited mother, Stella, and, consequently, her childhood was spent on the move—dodging disasters and mastering the art of packing up apartments, of being the new kid, and of leaving the past behind. But when Lemon begins her senior year at another new school, she realizes she’s taken an inescapable part of their last life with them: she’s pregnant. In an attempt to fill in the gaps of her history and to avoid repeating Stella’s mistakes, she decides she must set things right by going in search of her father, a man she has never met. So as new life grows inside her, Lemon boards a Greyhound bus and heads west to San Francisco in hopes of freeing herself from her childhood mishaps and discovering the true meaning of family. • How do you define a traditional or conventional family versus a nontraditional family? What are the benefits and/or challenges of each? • How are stereotypes created, and how can they be dangerous? • Do you believe teen pregnancy inevitably “ruins” a young person’s life? Explain. 1. Kristen-Paige Madonia begins the book with a quote by John Irving. In what ways does the overarching message of this quote reflect the events and themes of Fingerprints of You? 2. How does the cover of the book and the tattoo described in the opening sentence serve as a symbol? 3. When Lemon runs into her ex-boyfriend at the end of Chapter Two, she realizes that her actions at the tattoo shop have turned into “a girl worth remembering once I moved away.” At that point in the story, does Lemon believe that is a good or a bad thing, and does her view change by the end of the book? Explain. 4. Chapter Three opens with a list of stereotypes Lemon finds at her new school. Do these stereotypes exist in your school? How can these kinds of stereotypes limit your individuality? In contrast, how can they enhance your social experiences in school? 5. Along with over a hundred and fifty men and women in town, Emmy’s father is sent to Afghanistan. How do you believe the absence of her father affects the decisions she makes throughout the novel? 6. Describe Lemon’s relationship with her mother. How does this relationship change? 7. Is Lemon a responsible teenager? Explain. 8. Lemon chooses to purchase a one-way ticket to San Francisco, though she doesn’t admit this to anyone. Would you have made the same decision? Explain. 9. Would you consider Ryan to be the antagonist of Lemon’s story? 10. Aiden believes that “kids in America go to college too young.” Do you agree or disagree? 11. Ryan, a musician who works in a nightclub and concert venue, advises Lemon, “the key [to life] is finding a job that’s based around the one thing you love the most.” If you had to pick a career for Lemon based on this advice, what would it be? What would you choose for yourself? 12. How might parents, teachers, and school officials benefit from reading Lemon’s story? How would other teens who have been raised by single parents or are facing parenthood themselves benefit? 13. This book could be described as a coming-of-age story. Describe the ways that the following characters exhibit personal growth by the end of the novel: Stella, Lemon, Ryan. 14. 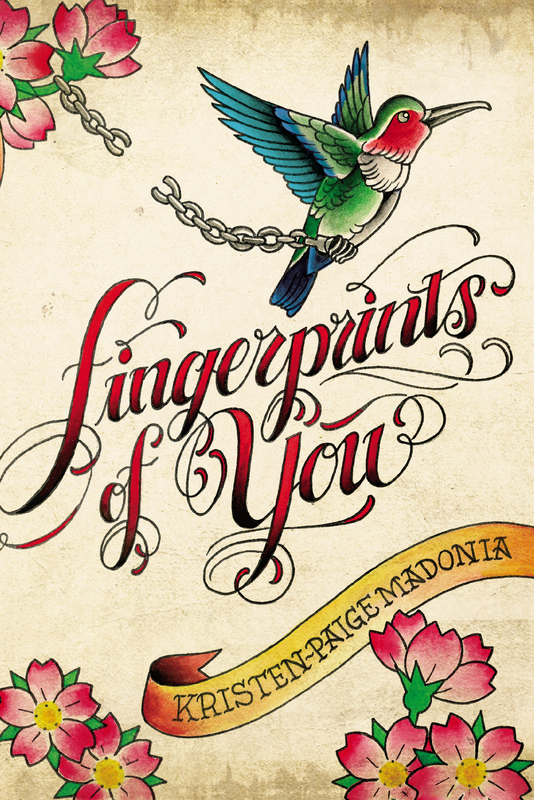 What makes the title, Fingerprints of You, fitting for this novel, and how does it relate to theme and/or the overall lessons Lemon learns during her journey? • The bomb-threat call at Lemon’s school. • Lemon meeting her father for the first time. • The New Year’s Eve party in San Francisco. 2. Write a letter to one of the characters in the novel. What advice would you give Lemon, Emmy, Stella, or Ryan? 4. Kristen-Paige Madonia’s website includes a series of “Lemon’s Lists.” Choose one book or film from the lists and explain why and how Lemon would have related to it. 5. Lemon finds comfort in San Francisco by working in a small neighborhood bookstore in the city. Visit your own local bookstore and write a description of the setting; include sensory details such as smells and sounds. Kristen-Paige Madonia lives in Charlottesville, VA, with her husband, their son, and their feisty dog, Berkeley. 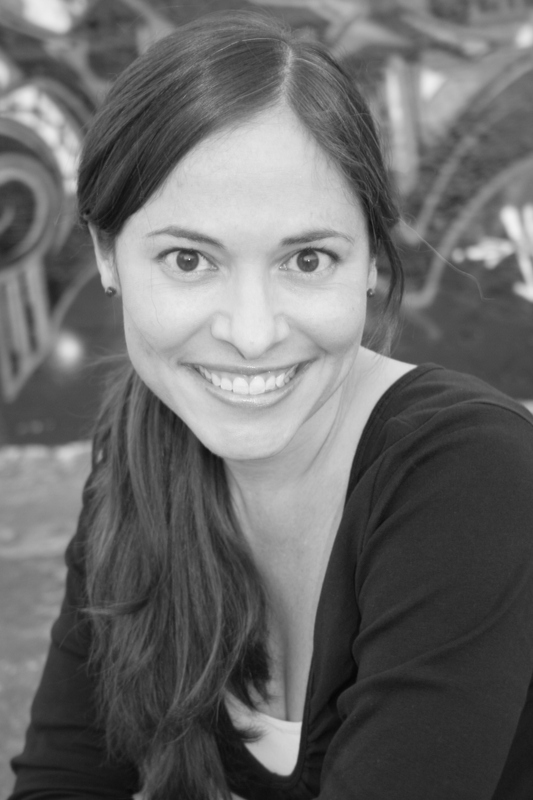 She has taught creative writing at the University of Virginia, James Madison University, and the University of New Mexico Taos Summer Writers’ Conference. Her second novel, Invisible Fault Lines, will be published in spring 2016 by Simon & Schuster Books for Young Readers.